The solutions to homework 3 are posted in the Documents tab. Also, you’re not allowed to use graphing calculators on the exam; scientific or four-function calculators are permitted, but not the one on your mobile telephone device. Obviously. 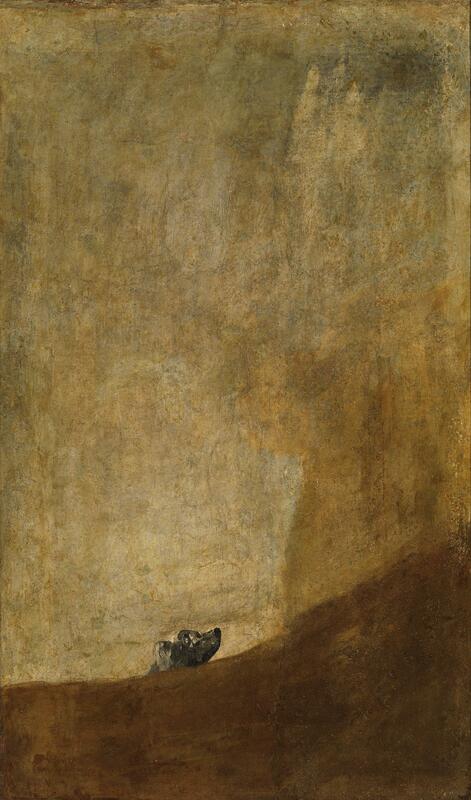 This is Goya’s painting Perro semihundido, sometimes called simply El perro. When the great Catalan painter Joan Miró visited the Museo del Prado for the last time before his death, he requested to see two paintings: Las meninas by Velázquez, which is the greatest painting of all time, and El perro.